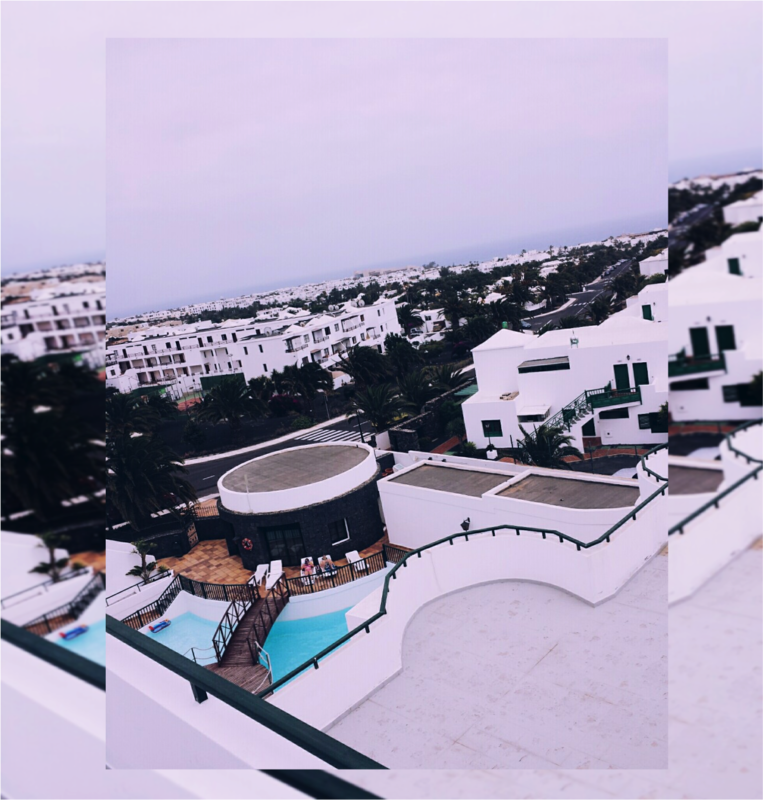 Lanzarote was a beautiful whirlwind, I can honestly say I nearly cried when I we landed because of how darn pretty it was (you can tell I don't leave the country much ha). So of coarse whilst I was there we had to sneak in some cheeky outfit snaps. This looks is a bit of a mish mash; sophisticated crisp white midi, with an Arabian style head chain (I basically felt like princess Jasmine's prodigy in it) rounded off with some new balance trainers for a sport luxe edge, cus why not eh. Hope your having as much of an incredible summer as I am beauts. Comment below of what you've got up to so far, I love abit of goss ha. Have an amazing weekend dolls and Jesus loves you of coarse. 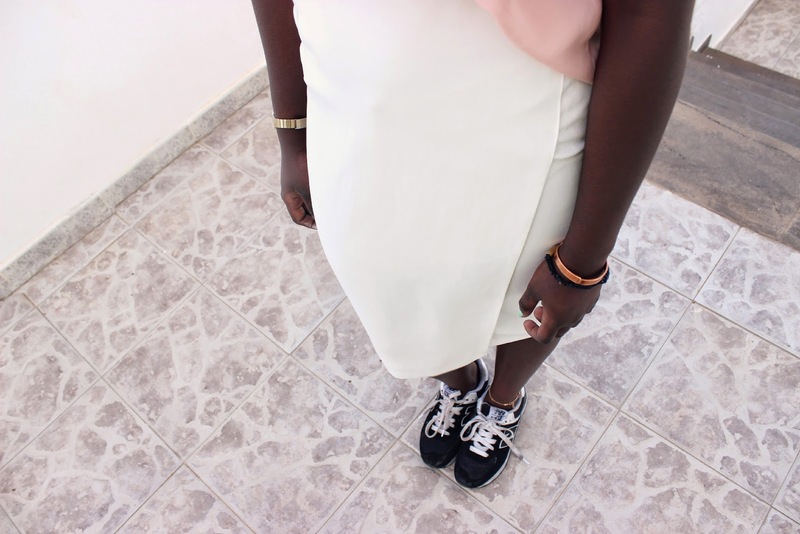 Love your outfit, the photography on your blog is fantastic! Love the head chain, gunna be searching on eBay for one of those! The view looks sooo nice, just got back from Zante with the girls so this week has been a bit of recovery ahha! These are gorgeous pics! Love your outfit! I'm going to lanzarote next month and I'm so excited after seeing these! Ah I love your head chain it's so pretty! Absolutely love your blog! i'm so gutted I stopped doing mine, trying to restart blogging however having difficulty with layouts and stuff on blogger! I am so retarded with stuff like this hahaa. I love this outfit, especially the head chain <3 so perfect! I love that you wore kicks on this. Such a perfect balance of formal and comfort. The head chain looks amazing on you. Lovely blog btw:)Thanks for stopping by! Your head chain is gorgeous! I'm so jealous that you went to Lanzarote, I have wanted to go for ages! 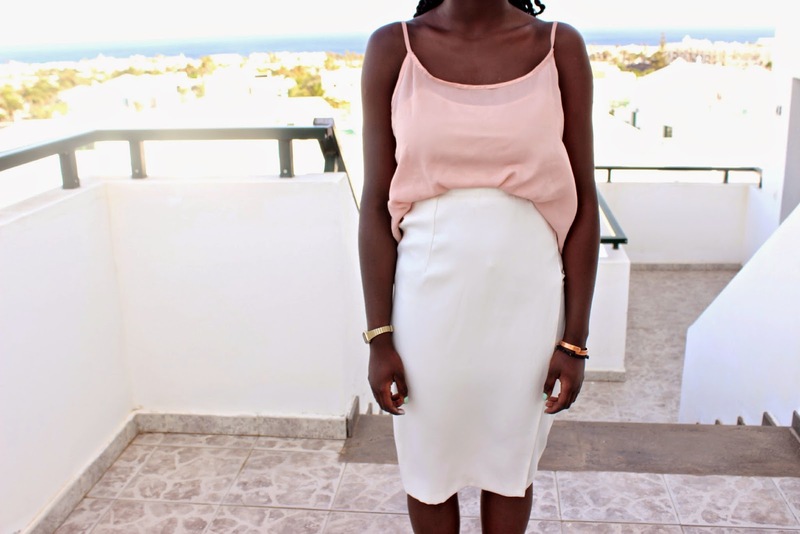 love the pale pink top!! By the way do you want to follow each other?? I found your blog and love it so much. Hope you visit my site and follow mine. Absolutely stunning. LOOOOVE the skirt! Love the headchain and the top! i love how you mixed things up. the boho headpiece and the sporty sneakers together is genius! thank you for the lovely comment on my blog doll! you look beautiful love your outfit! I love these soft colors together and that headpiece. You look beautiful!